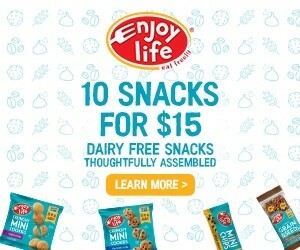 I will be surprised if this product isn't embraced by the paleo and grain-free communities. It's near impossible to believe that such simple, wholesome ingredients could produce something so light, tender, and akin to whole wheat bread. We loved the versatility (burgers, breakfast bread, eggs benny, etc.) and taste of the Original and Toasted Onion flavors. The only hang-up for my household is the price. The muffins are small and light enough that two can easily be devoured in meal, making for an out-of-our-daily-budget option. Updated – New 2015 Formula! With Tony’s recent foray into low-FODMAP, I’ve been struggling with convenient breakfasts and snacks. 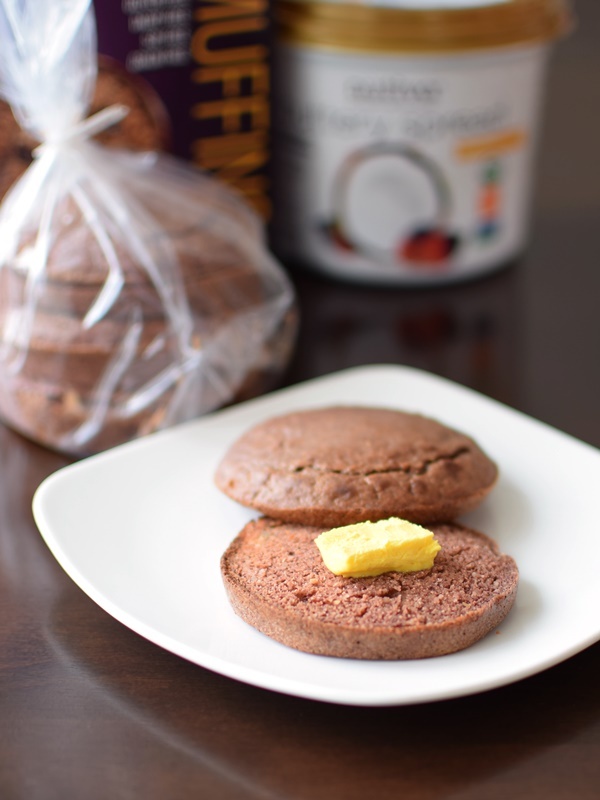 Mikey’s Muffins fit the ingredient requirements, containing just eggs, almond flour, coconut flour, water, baking soda, and salt in the Original. 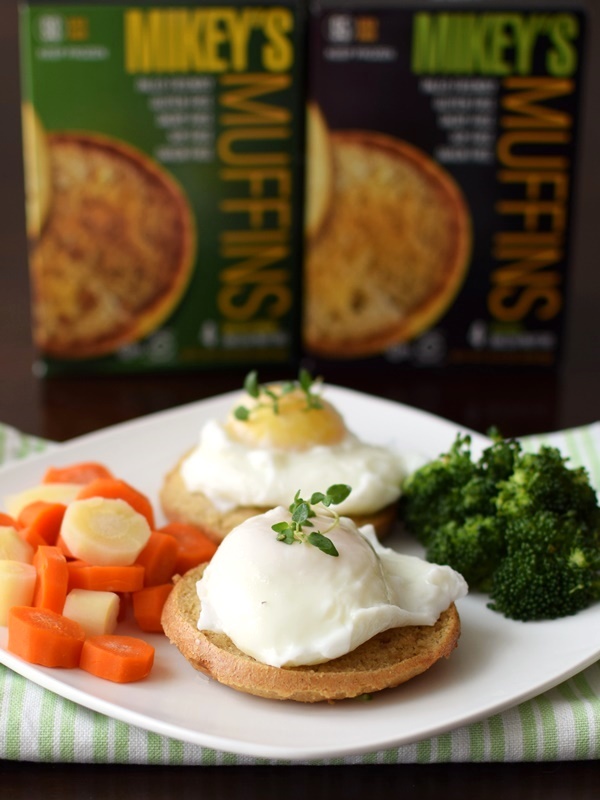 We were pleased to find that Mikey’s Muffins are light, tender, and definitely bread-like, making them oh-so-versatile. The round shape is perfect for everything from toast to burgers. That said, they aren’t airy like English Muffins. They have more of a wheat bread vibe and required a bit of coaxing to crisp up in the toaster. They are generally cohesive (no crumbs!) and with the new improvements we were able to enjoy them as perfectly-sized burger buns! Also, the new & improved Mickey’s Muffins seem to no longer have that egg-y taste and texture, which is fantastic. Nonetheless, they look the same, so I didn’t take new pictures. This is their baseline flavor, which, as mentioned, is much like two round little slices of wheat bread, but with a slight hearty variation in taste and texture. Honestly, we not only enjoyed these topped with eggs, but also as the buns for turkey burgers! They were the absolute perfect fit for both, and held up nicely, so long as we thoroughly drained the eggs and the burgers (on paper towels) to soak up excess moisture before setting them atop a muffin bottom. In this photo (below) you can see a little more of the Mikey’s Muffins texture. I liked this flavor for savories like burgers, though Tony wasn’t able to trial due to the onion. This was the only flavor that we didn’t enjoy. The texture was still good, but I only spotted one or two raisins in each whole muffin. The stevia sweetness was so sharp and off-putting as well. I had hoped that they would remove the stevia with the product changes, but it remained. 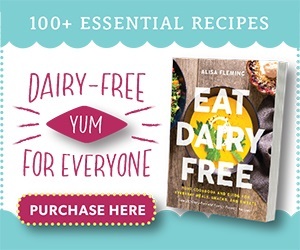 If you are even close to a stevia super-taster, or are like me and don’t adore stevia in baked goods, then be warned that it is ever-present in this product. I would love it if they either just omitted the stevia or used raisins to sweeten instead. The only general hang-up for us is the price to product ratio in Mikey’s Muffins. They are on the “extravagant” side for our budget, particularly with each box carrying just four small muffins. 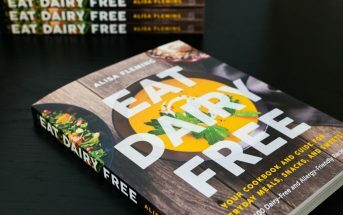 I think worthwhile for many grain-free, dairy-free enthusiasts, but perhaps out of range for many home cooks. 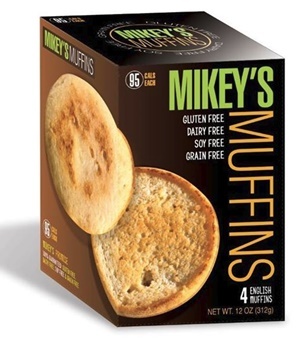 Certifications: Mikey’s Muffins are Certified Gluten-Free, Certified Paleo, and Certified Kosher Dairy (they do not contain dairy ingredients, by our last check, but are likely processed on equipment that handles other products that contain dairy). 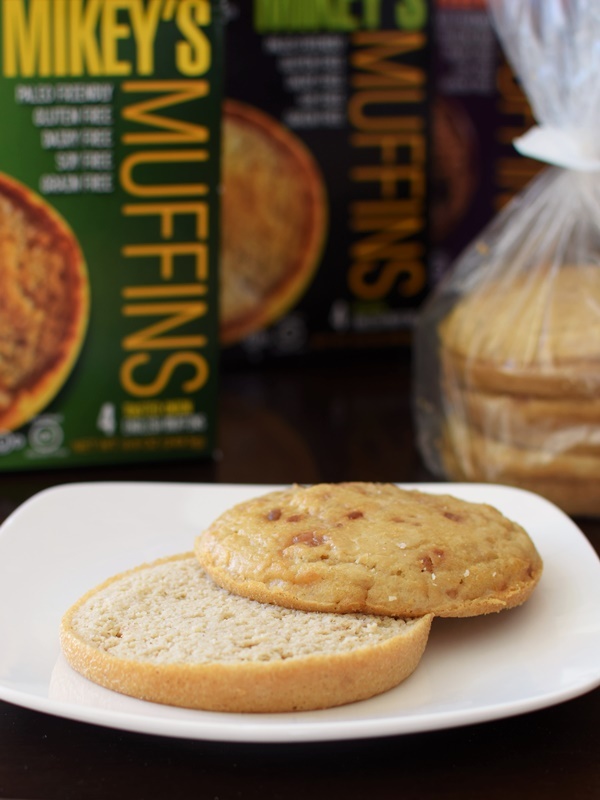 Dietary Notes: By ingredients, Mikey’s Muffins are dairy-free / non-dairy, gluten-free, grain-free, peanut-free, soy-free, and vegetarian. Nonetheless, verify on the label and check with the company on their manufacturing processes for all varieties if potential allergen cross-contamination is an issue for you. Processes, ingredients, and labeling are subject to change at any time for any company / product. 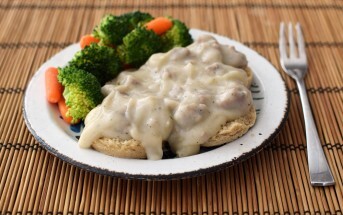 For More Product Information: Visit the Mikey’s Muffins website at www.mikeysmuffins.com. This product was so salty! It has no flavor, except salt and is very price at $7.99. I have no reservation paying top dollar for an item that is great tasting. This is disgusting. I just tried the toasted onion flavor and it was very nice tasting. However, mine had a topping that I don’t see in your picture or even on the picture of the product on the box. I think/hope it was onions because I ate it! They have made some minor tweaks to their muffins since we reviewed it, so I’m pretty sure you’re okay 🙂 Glad they were tasty! The English muffins are the worst processed food I have ever tasted. I am shocked that the company can get away with selling them anywhere. And I think my food standards are fairly low to begin with. With all of the gluten free options out there I was shocked at how gross these were! I have to be brutally honest and say I could not even eat it. I had the toasted onion flavor and will not buy any other flavors. Sorry Mikey! Thanks for sharing your take Julie! My husband and I tried these this morning. The picture looks fantastic, good job to the marketing team. The product was horrible. It was called cinnamon raisin and those two ingredients were not visible or in the flavor profile either. It held together nicely and is light but that was all. I guess if you are alergic to everything the fact that this holds together would be the one plus. I won’t be purchasing them again. I’m flattered Betty. 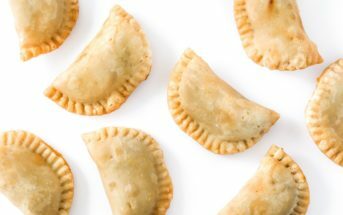 Those aren’t marketing photos, those are my actual photos from when I taste-tested it (I’m not affiliated with the brand at all, this is what mine looked like!). They have reformulated not too long ago, and keep tweaking, so not it is hard for me to speak to the flavor. As I mention above in my review, we didn’t like the Cinnamon Raisin flavor. Just noticed these in Walmart. They are very expensive, but thought I would give them a try anyway. Talk about deceptive packaging. The box of ‘Original English Muffins’ has a picture of a regular English muffin on it. The muffins inside didn’t look anything like the picture on the box, and absolutely didn’t taste anything near what an original English Muffin tastes like. The muffins were dark brown and had a really bad taste. Ended up throwing them out. Wouldn’t recommend them to anyone. What a bummer! They’ve been changing up so many things (packaging, formulations, etc) at Mikey’s, it’s hard to keep up. Sorry to hear about the poor quality Donald, but thank you so much for sharing! Hmmmm.. I’ve never seen these in stores but sounds like they’re worth trying. Glad you found something that Tony can enjoy, too! As always, I love your honest reviews! These are right up your alley Lori – I think you’ll love them! Awesome! thanks for sharing your feedback Kelcey! Hi Liz, I couldn’t find anything new in terms of a reformulation, but I’ll check with the company! Thanks Liz! I’ve reached out to them, but haven’t heard back yet. I found it on FB, too, and they haven’t fully replaced the old formula, so I don’t want to just buy it now (may still be the old version). Hopefully I will hear back from them soon. I appreciate the heads up! I have to admit – now I’m a little scared to try the cinnamon raisin flavor (which I bought). I plan to enjoy it with some nut butter though, so hopefully that will mask any bad stevia aftertastes, haha. But at least you gave the onion flavor (the other one I bought) a positive review. Thank you, as always, for your honest review! I always refer to your site before making purchases – no lie. Did that again earlier today, before purchasing a bag of Bob’s Red Mill gluten-free Honey Oat Granola (which you rated very highly). Hope they NEVER add syrup, agave or any of those inferior sweeteners. Original a fave but others perfect as is. Thrilled with product and low calories. Sugar kills and feeds cancer. Do a little research. Begin with Dr. Ron Rosedale, the best. Paleo people (I am keto/pale)–often take in way too much “natural” sugar. It would be great if you actually read my review before jumping. I didn’t recommend that they added any sweetener. First, I said the flavor was good for the first two, but we did not like the stevia in the Cinnamon Raisin. I recommended that they omit the stevia, but use A TOUCH of maple or honey if they must sweeten. I’d prefer they didn’t sweeten at all. I agree, they tasted good but the muffins are extremely small and I believe would definitely not hold the weight of a burger- as the muffin, after toasting, breaks apart very easily. We had a difficult enough time with our tuna sandwiches. Would also like to see them larger in size. 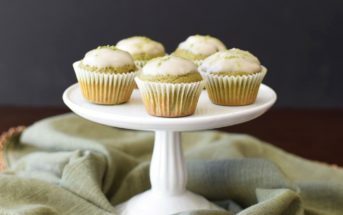 Sorry to hear you had a bad experience with the stevia-sweetened muffins! We’d love to send you a sample of Pyure All-Purpose Stevia. It’s USDA Certified Organic and NonGMO, and we promise you the taste is exceptional with no bitter aftertaste. Everyone loves it here at the office, it’s absolutely wonderful for helping with people’s sugar-free related goals and we’d love to hear your feedback!